How do we, can we, make ‘spaces for making’ inclusive? 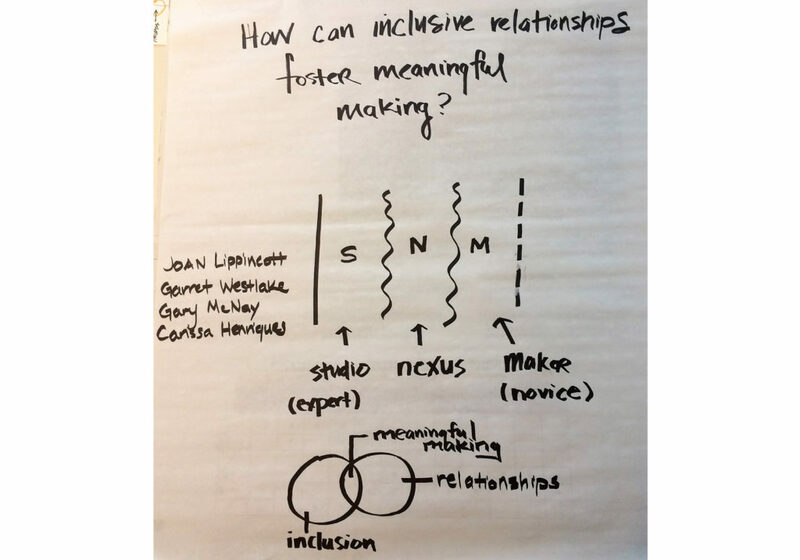 How can inclusive relationships foster meaningful making? What makes one feel welcomed into or excluded from a particular space serving a particular community of learners? Can makerspaces feel inherently exclusive for students who are not in a particular disciplinary field or who do not look like everyone now using the spaces? We began with these questions about inclusivity. We are aware that spaces for learning influence relationships and interactions and wondered how thinking about scaffolding relationships in ‘spaces for making’ would foster inclusivity. We thought about the various users of the space and how they might interact.